Peru is an incredibly beautiful, diverse and historically rich country. The Peruvian people are an upbeat, warm and friendly culture, with a sense of optimism. The country is a magical place, considered the spiritual center of the Americas. Cusco, the outlying Sacred Valley, and Machu Picchu all have a special feeling to which no picture can do justice, not to mention the physical beauty of the land and the warmth of its people. The Mountain Spirit Peru ’09 program is in its 11th day and the group are in Ica, having spent the day at the famous Nazca Lines. The Nazca Lines are an enigma. No one has proof who built them or why. 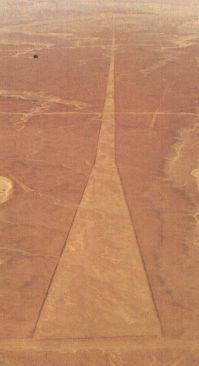 “Since their discovery, the Nazca Lines have inspired fantastic explanations from ancient gods, a landing strip for returning aliens, a celestial calendar created by the ancient Nazca civilization — putting the creation of the lines between 200 BC and 600 AD, used for rituals probably related to astronomy, to confirm the ayllus or clans who made up the population and to determine through ritual their economic functions held up by reciprocity and redistribution, or a map of underground water supplies. To read the rest of this article on Hayes’s website click here. This entry was posted on 26/07/2009 at 01:33 and is filed under Animals, Books, Experiential Education, Peru, Power of Place, South America, Traveling. You can follow any responses to this entry through the RSS 2.0 feed. You can leave a response, or trackback from your own site. I agree with you, these lines are indeed incredible to have survived for so long! Its an experience of a life-time and hard to explain.